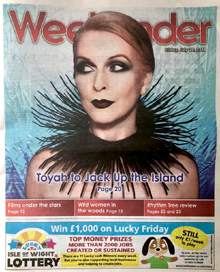 There’s only a few weeks until Toyah plays the Jack Up The 80s Festival and the Isle Of Wight County Press have made her the cover star of their Weekender supplement (Friday July 20, 2018 issue), with a one page interview feature inside. Eighties music remains popular because it tells relevant and grounded stories everyone can associate with. 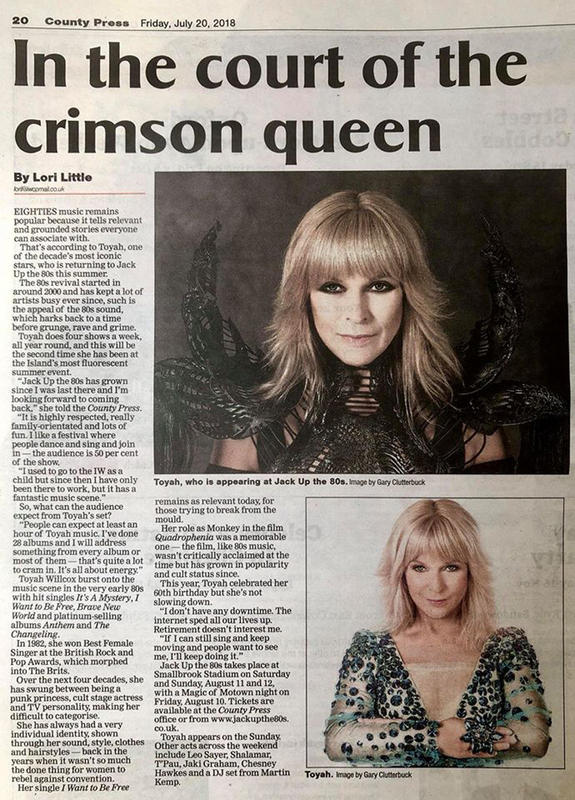 That’s according to Toyah, one of the decade’s most iconic stars, who is returning to Jack Up The 80s this Summer. The 80s revival started in around 2000 and has kept a lot os artists busy ever since, such is the appeal of the 80s sound, which arks back to a time before grunge, rave and grime. 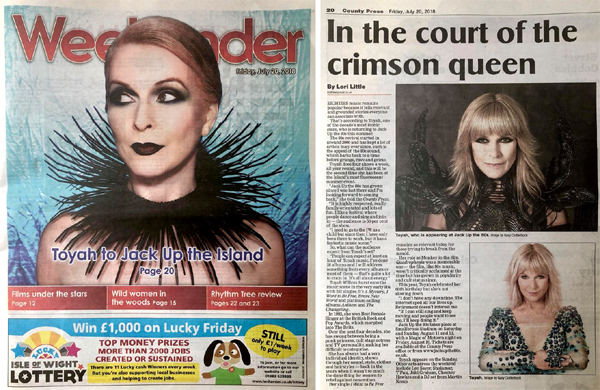 Toyah does four shows a week, all year round, and this will be the second time she has been at the island’s most fluorescent summer event. “Jack Up The 80s has grown since I was last there and I’m looking forward to coming back,” she told the County Press. • Continue reading here. Many thanks to Official Jack Up The 80s. Browse our Jack Up The 80s news. Visit the festival’s Official Website.